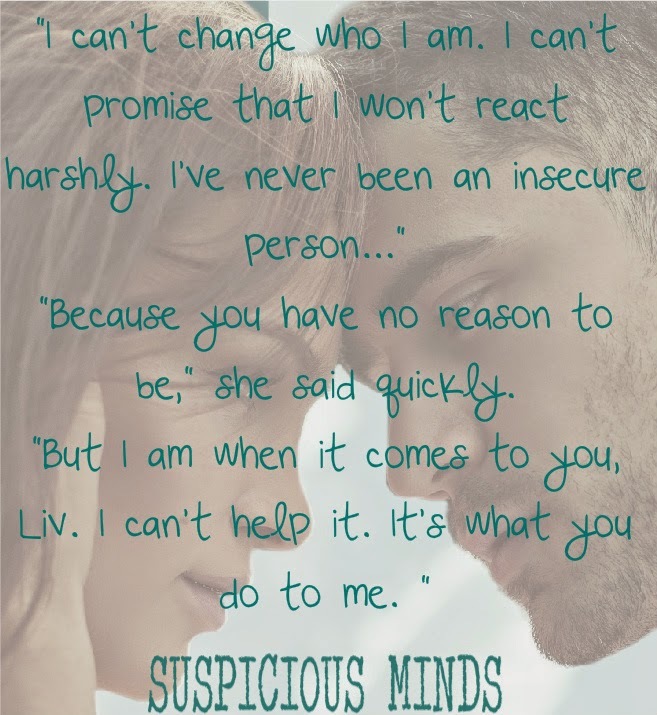 Welcome to my stop in the Suspicious Minds Blog Tour, hosted by As The Pages Turn. In this post, you will see an excerpt, teasers, author guest post, and a giveaway! Don't forget to hop on to other blogs to see more exclusive contents from Elizabeth Reyes! Zee: What is the most memorable thing a reader has told you, be it in email, book signing, etc.? Then there are the funny ones. One in particular that I still makes me giggle was from reader who came out to see me at a signing in Temecula California. She said her whole family was hooked on my books. This was back before I'd even started writing Suspicious Minds. She said. "I gotta tell you a funny story. My daughter tells me a few weeks ago. Oh mom, Elizabeth posted about her upcoming books. Guess who's up next in her Fate series? Sydney and Lorenzo! And I said really? I always wondered about Sydney since all those years he spent being Sarah's best friend and never made a move. But I didn't think Lorenzo was gay. My daughter looks at me like I'm crazy then starts laughing. No! Not their story as a couple; they're each getting their own story in the series and I said oooh! Then we both had a good laugh!" Elizabeth is offering up the following prizes. The giveaway is international and ends at 11:59 PM CST 03/24/2015. I love Elizabeth Reyes! This book was great! Thanks for the fun post! 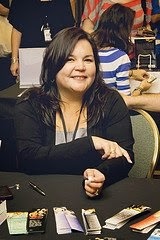 Elizabeth Reyes is amazing! I love her books. I love her books. Omg! We get more Romero's in the mix..Elizabeth gets better and better! Love her! Elizabeth Reyes is the Bombdiggity! ! I can't get enough of her books! I love the cover..............reminds me of Nicholas Sparks movie covers! !